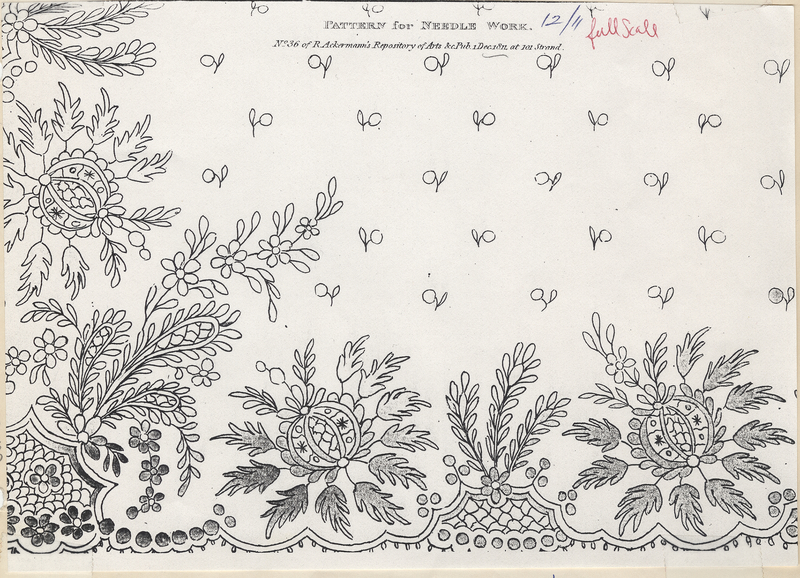 Description: This image, titled "Pattern for Needle Work," includes an illustration related to border designs. It is from Ackermann's Repository of Arts, December 1811. The Border Design Series consists of fashion illustrations and texts, compiled by Nancy Rexford, from periodicals dated late 18th - early 20th century. Inscription: No. 36 of R.Ackermann's Repository of Arts &cPub.1Dec1811 at 101 Strand. “Border Design Series: Section 01, Image 002,” Historic Dress, accessed April 22, 2019, http://historicdress.org/omeka2/items/show/716.